Bedtime Routine help from a Sleep coach! Anyone else struggle with bedtime with their little ones? We struggled to get Charlotte to sleep through the night, and the sleep training methods we kept finding didn’t fall in line with our parenting. We ended up functioning on little sleep for over a year until one day she decided to sleep through the night. I have to be honest, it was not a fun time for any of us and definitely not great for our marriage. Dave and I would pray that she’d sleep through the night, and then when she’d wake up we’d argue about what to do, and how to get her back down. My “go-to” was to nurse her to sleep but sometimes it wouldn’t work so she’d be wide awake and not ready to go back down. I wish I had met Meredith during this time and learned about her compassionate sleep coaching. We definitely would have been more joyful parents and we would have all gotten more sleep! I am often asked questions about sleep and difficulty with bedtime routines and since I am not a sleep expert, I went out to find someone that could help. I am leaning on the expertise of someone who has literally worked with over 100 families to help their children sleep through the night. I’ve teamed up with sleep coach, Meredith Brough to bring you a ton of helpful, evidence-based information on bedtime routines. She is a Mother of 5, and all born within 8 years!! She developed her techniques through hands on experience and followed it up with extensive research to create her compassionate sleep coaching program. She is giving us this information that she gives to her clients! So, grab a cup of coffee because there is so much here. What is the best bedtime routine for your child? There are only a few guidelines that are one-size-fits-all, and the rest is up to you! As a mother of five, a previous daycare owner, and a children’s sleep coach, can I offer you some ideas and information to help you decide? Here is a sneak peek of the advice I give to my clients! Family dynamics and parenting styles create unique daily routines and systems in each of our homes. On top of that, children are different in personality type, physical needs, development, and sleep requirements. It makes perfect sense that bedtime routines are about as diverse as our families are! Numberless parents wonder every day, “what should our bedtime routine be?” “Are we doing this right?” It is common to look around at your friends and family and feel inadequate, confused, and unsure. Are you ready to relieve your mind? Here’s a newsflash: newborn babies simply fall asleep... Check that one off your list! Bedtime routines are unnecessary at this stage. It doesn’t matter how new babies fall asleep or where or when. I do have some advice on how they learn to fall asleep and how to create a predictable schedule starting young, but that is another topic. Once your child is 2-3 months old, pick a bedtime that works, and commit to it. It may change as your child grows, so take note of emerging patterns of hyper activity, crankiness or lengthy bedtime efforts and adjust the time earlier or later by 15-minute increments. It’s natural for the activities to evolve, too, according to the child’s needs and attention span, but should be fairly set once the child is 18-24 months old. Routines are very important. There is ample support showing the benefits of consistent bedtime routines. In studies, children fell asleep faster, slept longer, and their mothers’ moods improved when routines were followed regularly. Is it bad that I laughed about moms’ improved moods? (In the studies, the routines were not the same.) (Science Daily, 2014) (Medicine, 2009) In my work, on a daily basis, I witness improvements in quality of sleep, smoother bedtimes, and increased cooperation from children as parents implement predictable bedtime patterns. Keep in mind that children have different needs according to their personalities and the amount of energy they have. For example, energetic children have smaller windows of sleepiness and need more time to wind down. Many little ones fall asleep in just a few minutes. Know your child’s needs and give them time to become tired. (It can make a big difference to allow some time for this before naps and bedtime.) Track your bedtimes for a week, writing down how long the routines took, what time you started them, the times your child fell asleep, and how long the sleep stretches were. Be prepared with extra material (books and songs) in case you need them. At approximately a week, you will be able to pinpoint the best window of sleepiness and plan the amount of time your child needs to fall asleep. The process of falling asleep, including the routine, is between 5-20 minutes for most children. There are children who are not predictable, and for these children, flexibility in expectations and planning the routine are a must! Predict a thirty-minute process but prepare your child to fall asleep sooner. Make sure the lights are low and movement is slow so that the melatonin hormone releases and does its magic. These kids can take anywhere from 5-45 minutes. It’s challenging! Watch your child’s sleep cues before your bedtime routine. You might be surprised to find that your child is yawning, rubbing his/her eyes, and staring into space before your planned bedtime. If fussiness or hyper activity sets in, bedtime is too late. Most experts recommend a bedtime between 7-8:30 PM. What matters most, is that you are allowing enough time for your child to get adequate sleep at night. These numbers are sometimes higher than the American Academy of Pediatrics’ guidelines. I like the Sleep Foundation recommendations because their standards are higher. Sleep is too important to skimp on for little ones’ health and development. To encourage proper sleep associations and clear sleep cues, I recommend doing the routine in the room your child will be sleeping in. It is also less disruptive to the process to be in one room. The routine can begin with a feeding, bath or another quiet activity. Have you thought of the benefits of giving your child a bath every night? When my children were young, 10 to 20 years ago, I had a hard time finding gentle or sensitive soaps for my children. Our doctor said not to give our children baths every day to prevent eczema. Today there are gentle products, so it isn’t as much of a concern. But, guess what?! This is genius. You can give your child a bath without soap. Let your child take a bath every night as part of the predictable routine and then use soap every 2 to 3 days. As a child nears 18 months-2 years, he/she may become irritable when it’s time to wash. (I find this tendency in energetic or sensitive children). Not using soap every night can help you get through bath time so there is less resistance. Did you know that some doctors recommend a bath before bedtime to lower the body temperature? (Melatonin does this too!) It helps grown-ups sleep better, too! The thing I like about giving children a bath every day is the consistency. Research underscores the importance of consistency in helping children sleep better and longer at night. If you want to have a successful routine, monitor your child’s pathway to the bedroom, or carry your child from the bath to the bedroom. Many parents find improvements to their routine because of this tip. Children frequently wake themselves up to resist going to sleep. If your child’s routine is interrupted by running around, jumping, kicking, screaming, crawling, bouncing or standing, you are going to have a harder time getting your child to go to sleep. It’s important to keep things slow and calm. Bring the clothing to the changing table or the bathroom or carry your child to the room and put lotion on (massage is another great way to help your child relax-with or without lavender lotion). Get baby diapered and dressed right away (put on the sleep sack or swaddle if they wear one) and choose a place to sit comfortably. Next, sit next to your child on the bed, or hold your baby/toddler in your lap for safe-keeping and watch his/her energy level. A good way to avoid a wrestling match or a battle with toddlers that get wiggly or try to get down to play, is to put them in their crib for a short time (30 seconds). Every time they fight you, put your little one in there and pick him/her up to sit again. Toddlers usually learn pretty quickly what the options are. There are three stages of falling to sleep for babies: the first one is when your child begins yawning, rubbing his/her eyes or nuzzling into your shoulder. This is when it is important to be actively preparing for sleep and watching the child closely. Most experts say to hurry to begin the routine at the 2nd/3rd yawn. But, some children don’t yawn until after the routine begins. Implementing a consistent bedtime means that your child will be winding down at the same time every evening, which regulates the natural rhythms of the body, helping the sleep cues begin naturally, and most importantly, helping you avoid overtiredness and fussing. 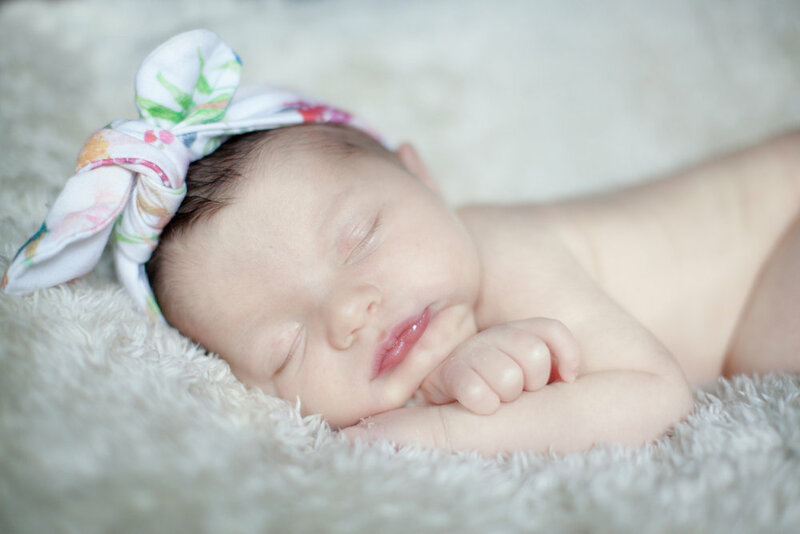 The second stage of sleep for babies and children is when they slow down movement and stare. Help your child lay down as this stage begins. If you wait any longer, you might reach the 3rd stage, which could either teach your child to rely on you to fall asleep or cause a new problem. During the 3rd stage, your child is nodding off, eyes are beginning to close, and he/she is falling asleep (sometimes his/her body jolts). Small children and babies will begin to fall asleep in your arms or lap and wake themselves back up. Bedtime can be very challenging if this happens. Instead, while you’re singing, talking or reading to your child, watch for sleep cues. It will help you move at the right time and figure out how long it takes for your child to wind down. It shouldn’t take more than a few days to see what works best-but be prepared to help your child get to bed, before the eye drooping begins! Your timing will help him/her fade into a restful sleep. Choosing a consistent bedtime and routine will be beneficial to your child and make your nights a dream. I hope that you feel equipped with powerful information to implement a plan. Trust that you have the tools to create the right routine for your child. You have the best perspective and insight to make this decision for him/her. Follow what feels right and fits your family, then enjoy creating bedtime memories! All of this information is so helpful even for us now that she’s sleeping through the night! Feel free to leave questions in the comments or contact Meredith directly at her information below. She offers a free 30-60 minute consultation to ask questions and find out the best fit for you and your family!